You don't have to be a professional handyman to tackle every little thing that goes wrong at home. Here are some simple fixes for five of the most common household problems. While many of us would be fearful of repairing a roof or installing an electrical outlet, there are plenty of things that the average homeowner can—and should—know how to do. Here are five projects that will boost your handyman (or handywoman) confidence and save you money by not having to call in a pro. There’s a pretty good chance that at some point in your home-owning lifespan you will need to deal with a clogged toilet. Don’t panic! You can more often than not resolve the problem yourself with a little plunger know-how. First off, a toilet plunger is not the same as a kitchen sink plunger; a toilet plunger has a higher rounded dome with an extended flange on the underside that fits into the toilet bowl drain. Before you begin, you’ll want to make sure there is enough water in the bowl to cover the rubber top of the plunger. If there isn’t enough water, don’t flush the toilet—it will overflow. Instead, collect some water from the tub faucet in a bucket, and use that to fill the bowl. Place the plunger over the drain in the bottom of the toilet and, with a downward thrust, invert the rubber cap to force air into the drain. When released, the plunger will create a vacuum, sucking up air and water with it. If a single plunge doesn’t work, try it again—and again. If the problem persists, you may need to pick up an auger, a snake-like device that can be threaded through the drain by a crank handle to loosen the blockage. The loss of power is one of every homeowner’s worst fears. That’s why it’s always good to have a working flashlight on hand. Rather than keeping one in a kitchen drawer or on a basement workbench, keep several in various rooms of the house. Consider having at least one that is wall-mounted and docked into an electric charger so that you never have to worry about a failed battery when illumination counts the most. If you’ve lost all power, look outside to see if your neighbors are dark as well. If so, this is a utility company issue that should be reported immediately. If it appears that yours is the only house affected, you’ll need to go to the electrical panel or fuse box that controls the power to your house (often located in the basement, garage, laundry room, or closet). Use the flashlight to see if one of the circuit breakers has tripped; it will be the one breaker pointing in the opposite direction or showing a visible red indicator—or both. Flip the switch and the power should return. 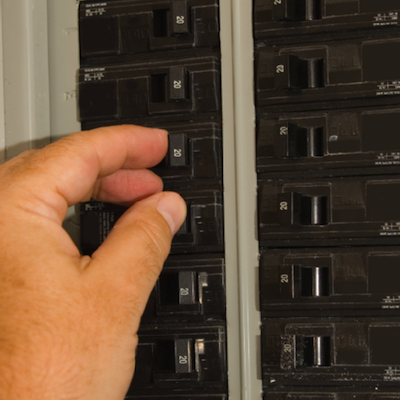 If you have a fuse box rather than a circuit breaker, you’ll need to locate the blown fuse. It will be the one that is blackened and darker than the others. Simply unscrew it and replace it with a new one. Note: If you smell anything from the electrical panel or fuse box, shut it off at the master power switch immediately (the larger or single switch at the top). This will prevent power from going to your house until a qualified electrician can assess the problem. There’s nothing like a warm fire to take the evening—or early morning chill—out of the house. But fireplaces, as desirable as they are, do require routine care and maintenance. While some issues, like soot buildup and chimney repair, require the services of a pro, every homeowner should be able to make sure the flu and damper are in good working order, and, at the very least, should know how to dispose of ashes safely. To accomplish the latter, begin by brushing the ash into the center of the hearth. Scoop the material into a metal container with a lid, and place it outside—away from the house and any combustible materials, such as leaves. Let the ashes sit for two weeks before disposing of them. Some gardeners like to use cold ash for fertilizer, so perhaps you can put your ashes to similar good use. It’s always advisable to have your fireplace and chimney inspected by a pro once a year. One of the best defenses a homeowner has against costly repairs is spotting problems early. That’s where a pair of binoculars and a smoke pencil (or a stick of incense) can come in handy. With a pair of binoculars, you can do a pretty good inspection of your roof and chimney without having to climb a ladder. Survey the roof for any missing, loose, or curled shingles, and check the condition of the flashing around chimneys. You can also scan the eaves, trim, and siding for any signs of missing, chipped, or peeling paint that could result in wood decay over time. Next, inspect the attic. Look for any water stains around vents, skylights, and chimneys; water stains are a good indication that a professional roof inspection is in order. Because drafts and air leaks impact the efficiency of heating and cooling—and affect your utility costs—it’s a good practice to seal any areas where drafts are known or suspected. 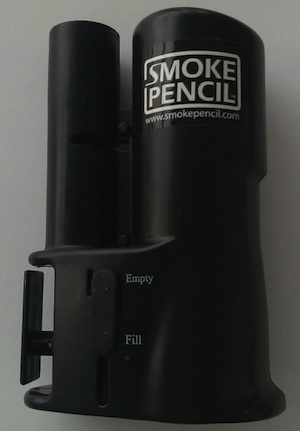 To help detect those areas, consider picking up a smoke pencil—a handheld device that emits a plume of smoke that helps indicate where drafts are present. By moving it around door and window frames, outlets, and areas under cabinets where plumbing enters the house, you’ll know where to apply weatherstripping, sealants, orcaulk to prevent air infiltration. While there are many routine maintenance tasks around the house, it’s important not to overlook any appliance or system that moves air. That goes for cleaning furnace filters, clothes dryer vents, vent fans, and air registers for forced-air and cooling systems. And, because the circulation of dust, pollen, and allergens has an impact on your indoor air quality, don’t forget to clean areas that often go neglected, such as above moldings and trims, under beds and sofas, and ceiling fans blades. It’s also a good practice to clean the refrigerator coils at least twice a year. A simple vacuuming will reduce dust buildup and keep the appliance operating efficiently.